The original piece of nightwear, the nightshirt has been worn since the late Middle Ages but its popularity endures today. Unlike garments that comprise of top and bottom components, the advantage of wearing a single garment to bed is that there are no waistbands to constrict the torso. 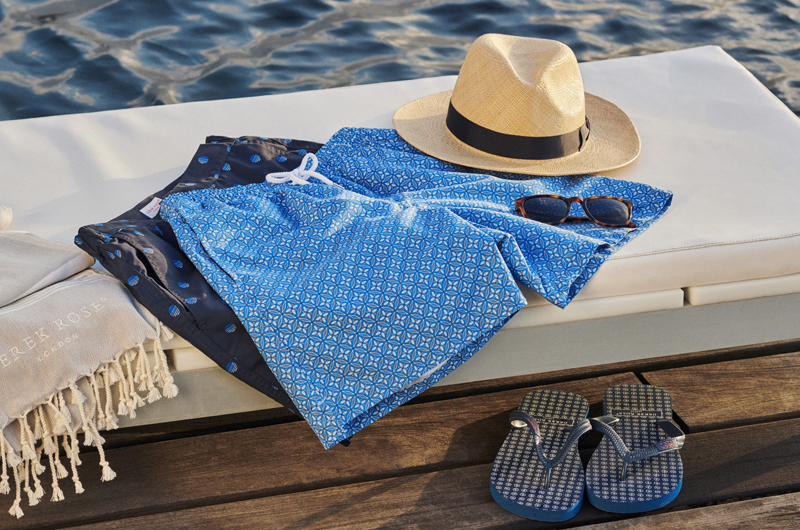 The loose fit means that the seams are unlikely to rub against the skin and the long length gives the wearer warmth without the restriction of more fitted garments. This comfortable combination of temperature regulation and freedom of movement is conducive to quality sleep and rest. 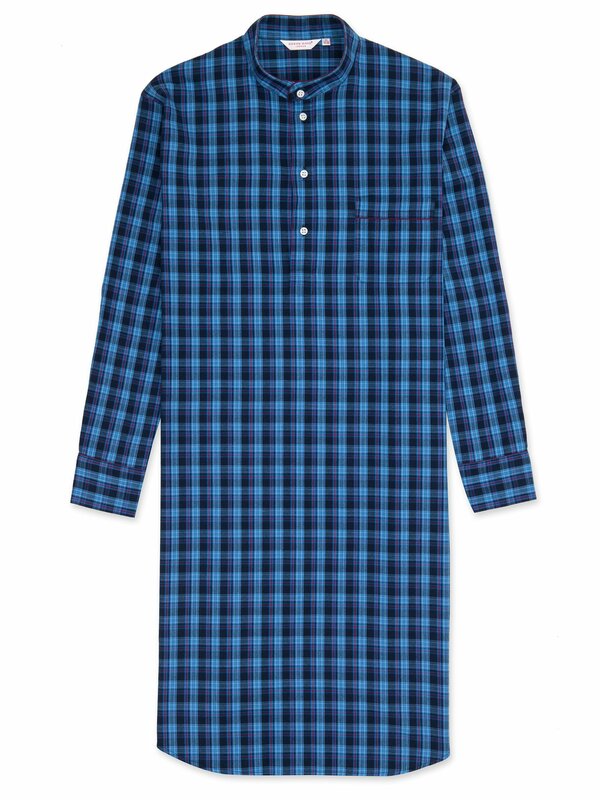 A nightshirt featuring a beautiful check, the Ranga is cut from a soft brushed cotton in medium weight, to make a garment that is ideally suited to the cooler months. One of the classic garments of the company, our nightshirt features a generous cut, for maximum comfort and freedom of movement. This button-through model has a collarless neckband and single breast pocket. The model in the photo is 6'1" / 186cm tall with waist size 32 and chest size 39. He wears a size M.
Read more about the history of the nightshirt here.